Trading in the Markets ? 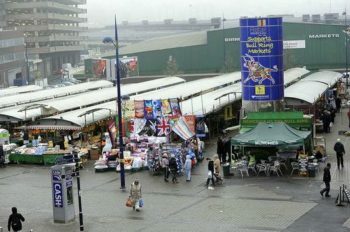 Market Trading in Birmingham recently celebrated its 850th anniversary – from a Royal Charter granted in 1166. What is the future of Market Trading today? 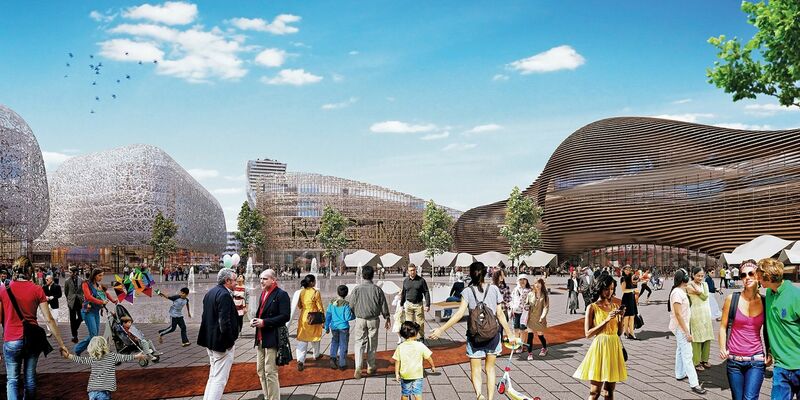 The new Smithfield development will occupy the site of the old markets, with housing, leisure attractions and some space for markets. Markets provide a social space; an affordable location for people to try out their entrepreneurial skills; and a place for bargains. CIGB Workplace Chaplaincy and St Martin in the Bullring have had Chaplains to the Markets over a number of years, and good relationships with the traders. How will the practice and value of Market Trading continue into the future, in the midst of changing social and shopping habits? SPEAKERS include Bernice Ellis (previously outdoor Market Trader), Richard Cowell (Birmingham City Council Assistant Director for Development) and Janet Kidner (Lendlease, the Smithfield Developers). Prior to the Keynote addresses and discussion, there will be our brief AGM. The AGM will be the first one for our new Chair, Revd Steve Faber (Moderator of URC West Midlands Synod). Contact val.dalton@cigb.org.uk to register your attendance. Chaplaincy offers support and witness. Chaplains give time and care. Workplace staff come to us for confidential listening, and friendly relationship independent of their workplace. Through our mission, we witness to hope and faith. Chaplains help organisations to think beyond the normal boundaries. Our growing base of volunteer chaplains shows that Christians recognise the challenges of working life. Although our main activity is chaplaincy to workplaces, we also act in partnership with churches to respond in discipleship to issues of jobs, money and fair working practices. For all people of faith in the workplace, our chaplains support their ‘faithfulness at work’. For people of no faith, we empower and encourage. Churches support Workplace Chaplaincy because it is part of their showing Jesus’ love in action today. As churches re-imagine their ways of working, Chaplaincy is a ‘Very Modern Ministry’ according to a recent report. We run a regular Chaplaincy Training Course which offers Christians a chance to explore making sense of their faith in a work environment, and an Introduction to Birmingham Training Day to help Church organisers connect their theology with major public policy issues in Birmingham. For a list of where our current 60+ chaplaincies are based see here. The Presidents of CIGB are the leaders of Birmingham Churches Together (birminghamchurches.org.uk). 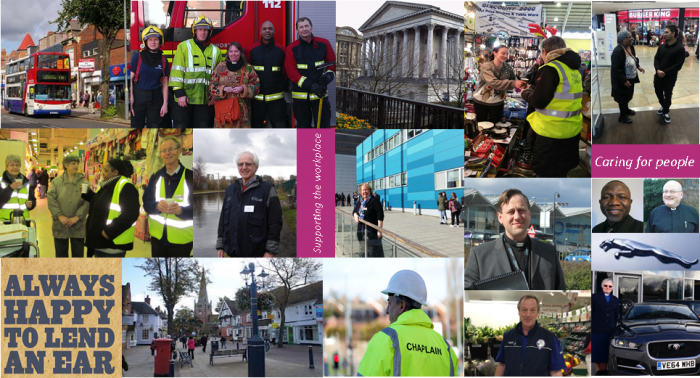 The CIGB chaplaincy team has members from the different denominations of church in Birmingham and Solihull. CIGB also works with individual church communities in working for a faithful local economies in their areas. We receive financial support from Church denominations for our work, and this support is matched by donations from a number of businesses. For an impression of urban chaplaincy, read here a Mission Matters report on Methodist town centre chaplaincy projects in the UK.